Description: Digitization provided by the USF Libraries Digitization Center. Rare Maps. 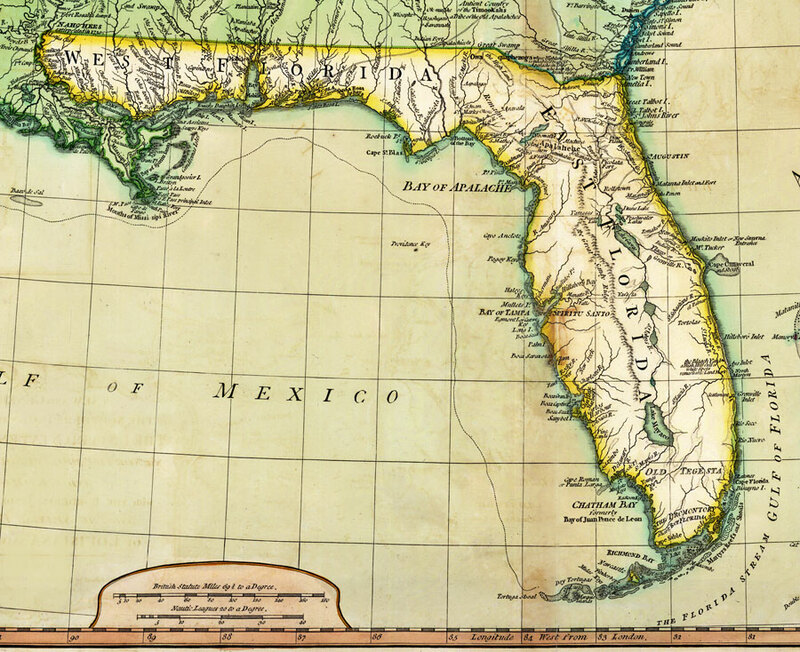 This is a map of Florida divided into West and East Florida, circa 1794. It is a portion of the map of the Southern Dominions belonging to the United States of America. It shows country borders, cities and towns such as St. Augustine, railroads, and inland waters such as Lake Mayaco or Lake Okeechobee. Relief shown pictorially. British statutes miles 69 1/2 to a degree. Nautical Leagues 20 to a degree.